A interview with the first woman to travel to all 196 sovereign countries on the planet. Cassie DePecol is the first woman to travel to all 196 sovereign countries on the planet. She’s a fan of Anthony Bourdain, an advocate for peace through tourism and hopes to inspire youth to seek adventure through travel. 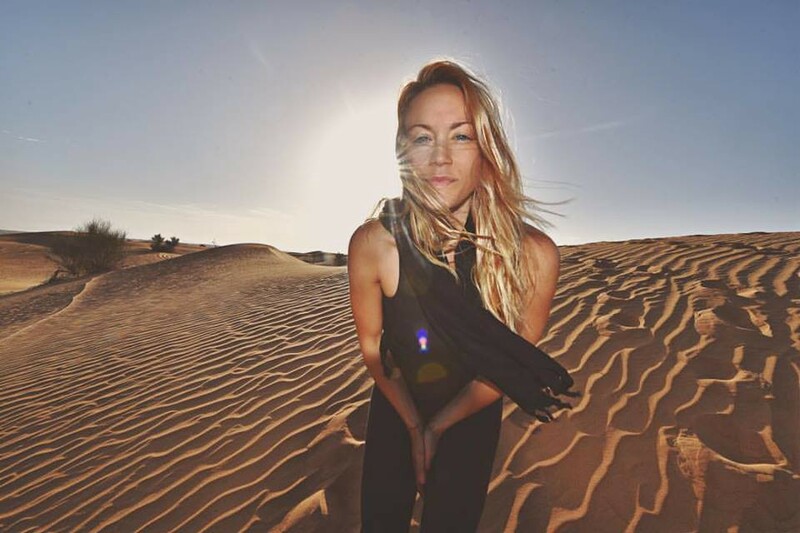 At the time of the interview, Cassie was attempting to break the world record for being the fastest person to travel to all 196 countries in less than three years and three months. She had visited 181 countries and was heading out to finish the last leg of her expedition. What will it mean to you to be the first woman to visit every sovereign nation in the world? Amelia Earhart has been a huge role model for me since high school. She’s someone I look up to you, and despite her efforts to be the first woman ever to fly around the world and failing, she made the history books. When I first decided on doing the expedition and being the first woman ever to travel to every sovereign nation, I thought what if I fail? I don’t want to fail, so I made it a goal that if I did fail, I was going to fail hopefully at the end (laughs.) To be the first woman, it’s a huge deal to inspiring youth and especially young women. In so many countries around the world, women are limited by societal norms. From birth, women are told they can’t do anything because they’re a woman. My goal is to break the barriers when it comes to that and I want to let this expedition help young women learn that when they have a goal or dream, it is attainable. You have to be persistent and dive in head first. Face your fears, know what you want and work hard to obtain it. You mention in your blog post Embracing the Fear that “fear fuels you.” How do you use fear as a positive? I think about fear every single day. I’ll admit I’m a little bit of a hypochondriac when it comes to some things and often have anxiety. With this expedition, it’s all about facing my fears like my fear of flying; I’m not a great flyer, and I’ve had to overcome that as well as the fear of reaching out to people in important roles in their careers and sponsors. Ranulph Fiennes was the first person I reached out to become a supporter of this expedition. He said no when I first contacted him because he’s so busy. But I wanted him to support this journey, and eventually, he said yes, so that’s how I used my fear as fuel to keep going after the things I want and the people I wanted to be apart of this. You’re at 181 countries soon to finish the last leg of 196. What’s going through your head as you can see the finish line? I think a lot of people are seeing that I am traveling to a lot of these countries so quick and not getting to see much but there has been only ten countries where I didn’t get to see a lot, but that’s due to watching my budget and the meetings come first with the students. These last 15 countries it feels nostalgic, and I want to take advantage of each moment and learn as much as I can while reflecting as much as I can. This last leg is going to be challenging and exhausting, so I just have to keep pushing. With all of the countries you have visited, is there a place that changed your perception or outlook on life? Yes, the Middle East. I always wanted to go to the Middle East and lived in Turkey for awhile. Some people I told about wanting to go to the Middles shared that if I went, I wasn’t going to like it and was going to get killed. I had this thought in the back of my head that I knew that wasn’t going to happen because there are so many preconceptions that weren’t true based on the media and online. So when I went, I went to the Middle East with an open mind. The people took me in with open arms, showed me around to places like Bahrain, Afghanistan, and Iran. I was always welcome into their homes and that experience alone really changed my perspective. What has been the most difficult thing for you on this expedition and how do you deal with it towards achieving this goal? The most difficult thing have been getting the visas. Even though I’m working with a visas company, only having two passports has been challenging in getting what I need. Personally, the exhaustion has been hard. My first six months, I couldn’t keep my eyes open, but now I’m used to sleeping 3–4 hours a night. There are some days though where it feels like I’m floating and I have to remember to chill a little more and sleep when I can. Have you thought about what will you go after next once this record is yours? I’m planning on breaking some more records, but I think my next challenge is developing these humanitarian efforts I’ve wanted to do. It takes a lot of teamwork and effort, and the challenge for me is trying to make sure the documentary, the book and the universal student internship program all get completed while trying to work with others. I’m not a good team player, and I know I need to do that for these things to happen and be successful. What’s been the biggest change personally that you have seen within yourself since you started? Being more accepting and less judgmental of others. I think our society teaches us how to judge others. For some reason, we learn it’s ok to judge other people whether big or small. The biggest takeaway for me is that from the time I was the tv show and starting this expedition, I am an entirely different person. I have become more open. I strive to emphasize to students when I meet them to exercise non-judgment and to understand other’s stories. Everyone has their story, and it’s important for us to take the time to learn people’s stories to understand. I use to think that if I was ever upset, I could go travel and that would make me happy. But I think now it’s content with who you are and what you have to offer the world. If I were doing this trip and traveling with doing nothing to enhance the world and not meeting new people, I wouldn’t feel happy. The fact I can devote myself to influencing the world, the youth positively makes me happy. What is a piece of advice you would give to those who are facing obstacles in life and need encouragement? Know what you are good and what you aren’t good at. doing. You have to admit to your flaws. It’s important and takes some time to understand where you want to be in 5, ten years. It’s hard to know you’re passion and even with the student I work with, they are often trying to figure out what they want to do in life. I think it’s critical to find three things that excite you and incorporate these into a career. For me, it was fitness, nature, travel and that’s how this expedition came along. Once you figure out what your three things are, you can craft a career and finally have that path you want to be on. You’ll do everything possible to further yourself on that path.